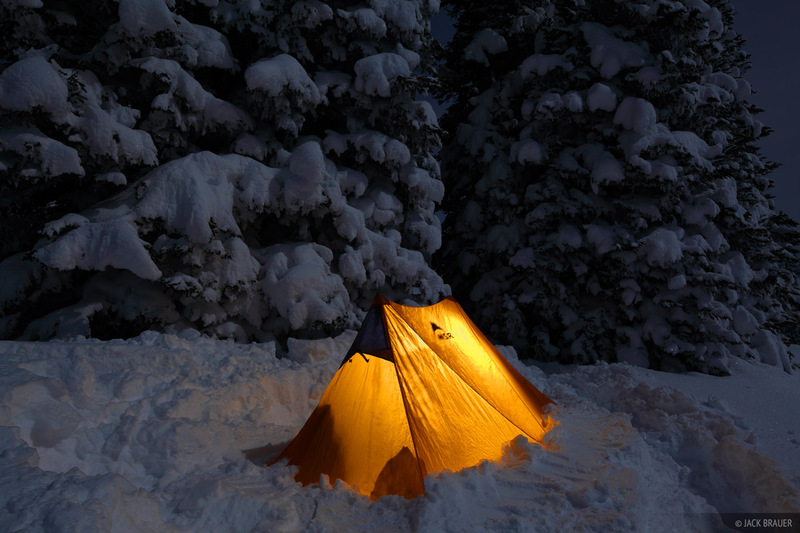 With a full moon and a partly sunny weather forecast, I decided this last Thursday to do a winter camping trip up on Table Mountain, on the west side of the Teton Range. The hike in was grueling, having to put in a skin track all by myself up 4,000 vertical feet through deep heavy powder, with a heavy backpack. In fact, for most of the hike I was gaining only 1,000 vertical feet per 2 hours! Exhausted after reaching the high flat ridgeline, I set up my tent shortly after sunset and quickly fell asleep. At 2:00am I woke up again and skinned the rest of the way up Table Mountain in the bright moonlight, enjoying a moonset and sunrise from the frigid summit with a great view of the Grand Teton. After sunrise I rode back to my tent, crawled back into my sleeping bag, and slept most of the day before packing up and riding out of there. 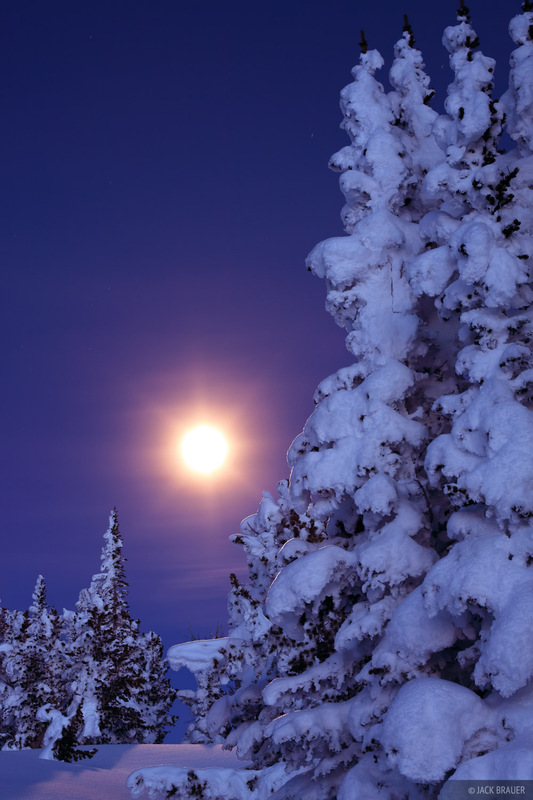 Snow smothered trees and a full moon. The obligatory winter camping nighttime tent shot! Though the temperatures were very low, the night was calm and I slept soundly with my hot water bottles in my cozy winter sleeping bag... at least until 2am when I woke up to hike up Table Mountain. 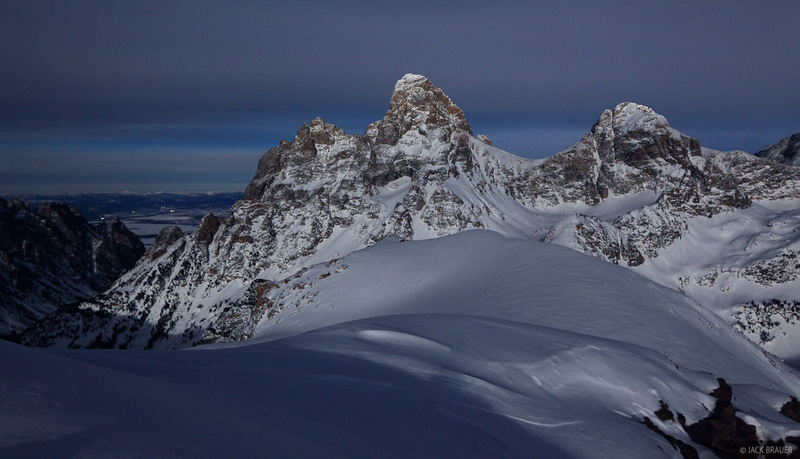 Moonlight illuminates the Grand Teton, as seen from the summit of Table Mountain, January. 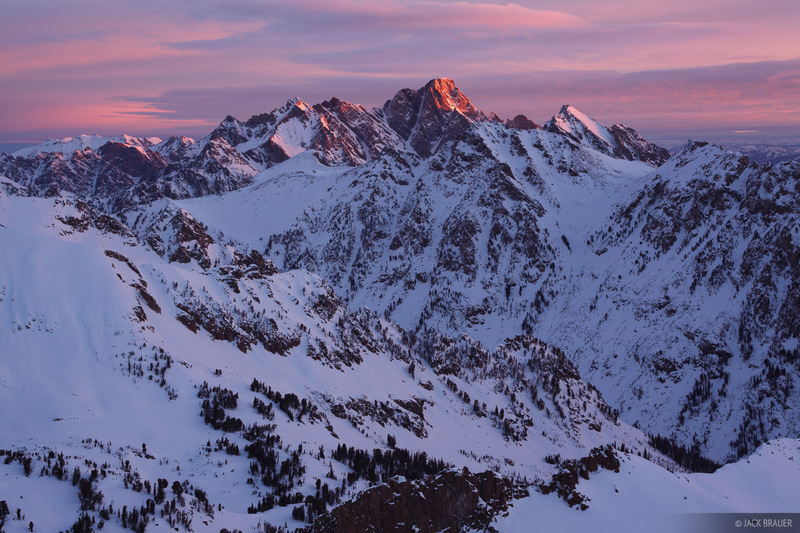 Sunrise and the west side of the Grand Teton, as seen from the summit of Table Mountain, January. Sunrise panorama as seen from the summit of Table Mountain, January. From left to right are Mt. Owen, Grand Teton, Middle Teton, South Teton. 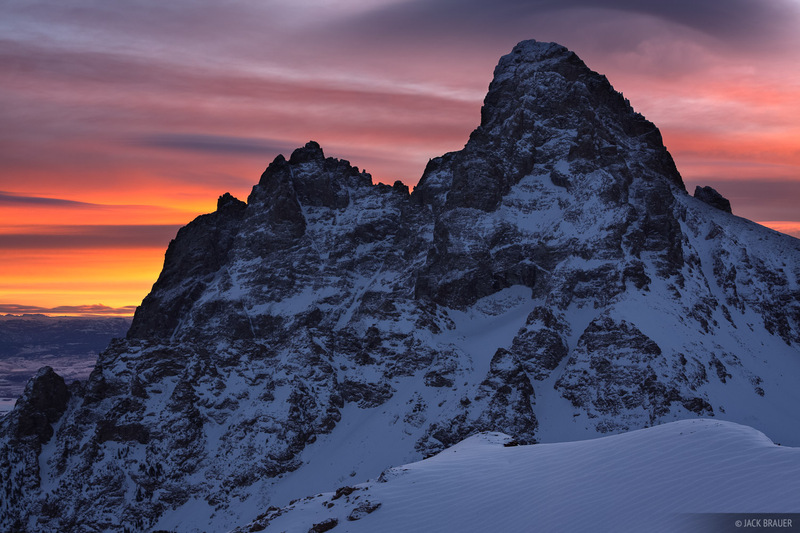 Sunrise alpenglow lights up the rugged peak of Mt. Moran, as seen from the summit of Table Mountain, January.